EXCLUSIVE! Add some passion to your bedroom with Klimt's most revered painting. 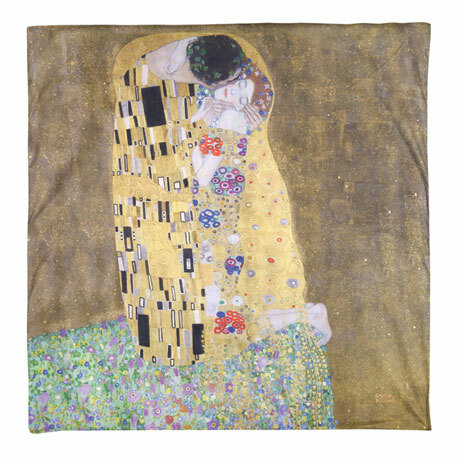 Accurate reproduction of "The Kiss" fits perfectly on this soft queen-sized duvet cover. A perfect match for our "The Kiss" shams (sold separately). Cover measures 90" x 90". (Full/Queen) Spun polyester.